This costume is from Attack of the Clones and can only be seen in the deleted scenes. 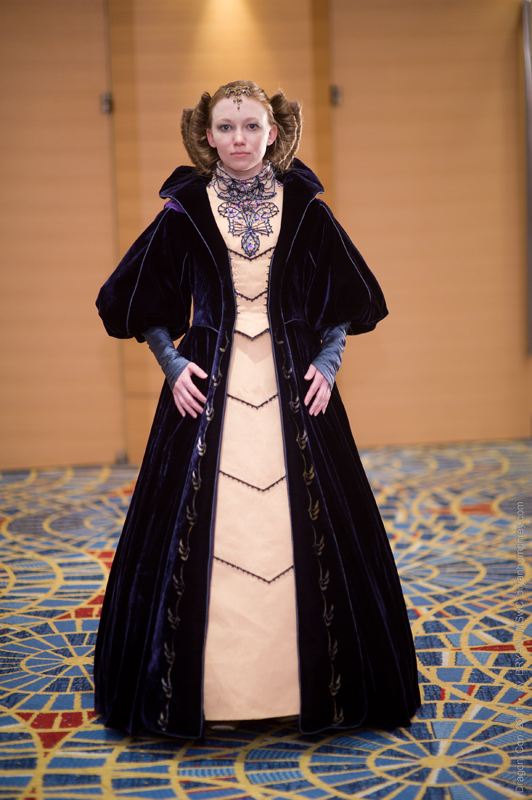 The costume includes naboo-inspired corsetry, chemise, hoopskirt and stockings of my own design. The undergown is made from a cotton/poly moiré fabric and is hand-beaded. The sequins at the neckline are hand-shaped and painted. 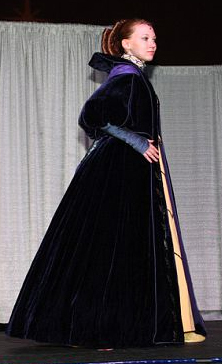 The overdress is made from silk velvet, silk taffeta and piping which I dyed. 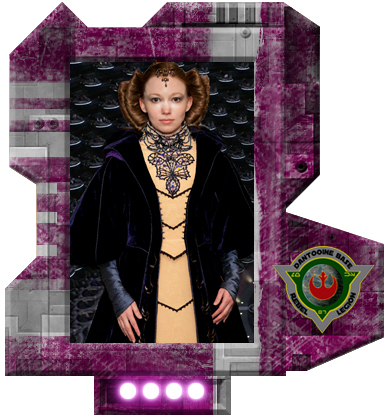 This costume also has a custom hairpiece and headjewel.